It's a busy start to the new year for the stable, with five runners entered for today's Midweek Metropolitan meeting at Doomben. After an impressive first-up win at Beaudesert, the speedy HELFUCHI (pictured) is second-up in the Fillies and Mares Class 3 Plate (1110m), with Jim Byrne having his first ride aboard the mare. The stable has two of the seven runners lining up to contest the QTIS Two-Years-Old Maiden Plate (1050m) in debutante DUANE and WOOLSEY, who makes her second race day appearance. SATYRICON steps up in distance to a more suitable 1350m for her third-up assignment, while MYSTIC BROOK will be looking to go one better than a last-start second at Ipswich. TRAINER COMMENTS: "She's done well and although she has been up for a while, she's a tough filly. She has drawn well and it looks a nice race for her." TRAINER COMMENTS: "From the draw, he'll likely roll forward. He's done well, he's a lovely horse and I'm sure whatever he does today he's going to learn a lot from the experience." TRAINER COMMENTS: "She's drawn well with Larry Cassidy retaining the ride. 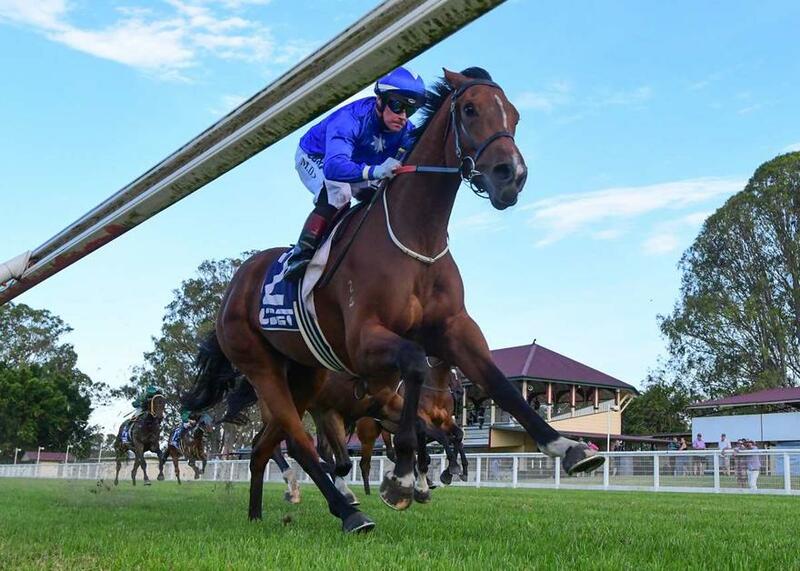 The jump to 1350m is quite a significant jump but she's done really well and she's improving with racing all the time so I'd expect her to competitive in a race like this." TRAINER COMMENTS: "It's a very strong midweek Fillies and Mares Class 3 race so it's certainly not going to be easy. But having said that, she is in good form and I'm happy with her so I'd expect her to be very competitive in a strong race." TRAINER COMMENTS: "I'm happy with the way she's trained on since her run two weeks and is starting to look the way I'd like her to. If she can get the right run, I'd expect her to be finishing the race off nice and strongly."